Clark Masts telescopic portable masts are used by Military Forces in all parts of the world and in all climatic conditions. 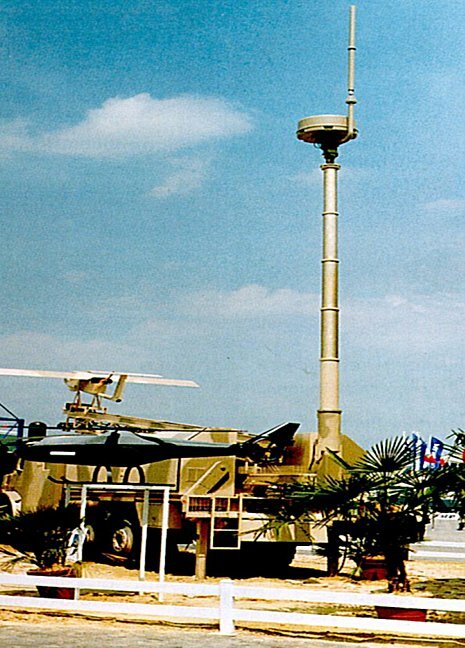 In fact, in common with other defence forces, Australia's Department of Defence uses a large number of Clark Masts which were especially manufactured in Australia. 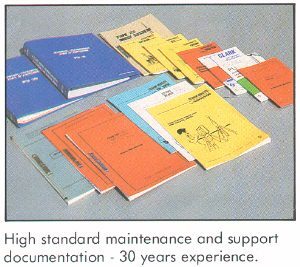 A range of air operated and manually extended models has been especially developed for Military use and these are covered in the following pages. 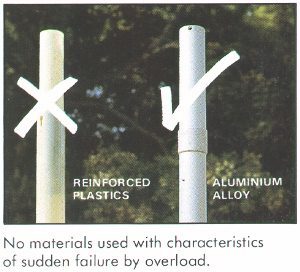 Clark Masts can also manufacture masts to the military users own unique specifications (as with the Australian masts) as well as adapt their standard industrial masts to military specifications. Military users have special requirements, such as complete interchangeability of components for equipments delivered years apart or, when designs are updated, on-going availability of pre-updated parts. Clark Masts Nato Coded portable military masts can be trusted to fulfil these requirements in addition to possessing maintenance information for every level and lists of recommended spares for any period and service. 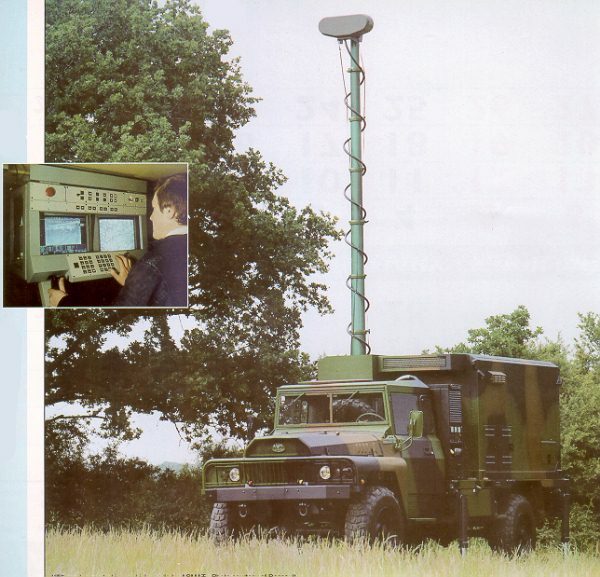 Applications include their use as (Electronic Warfare) EW Masts, (Differential GPS) DGPS masts, Camera Masts, Antenna Masts, Surveillance Masts, Communications Masts, (Unmanned Air Vehicle) UAV Masts, (Direction Finding) DF Masts, Data Masts, Aerial Masts, Microwave Masts, (Instrument Landing System) ILS Masts, Portable Antenna Masts, and Command and Control Masts. 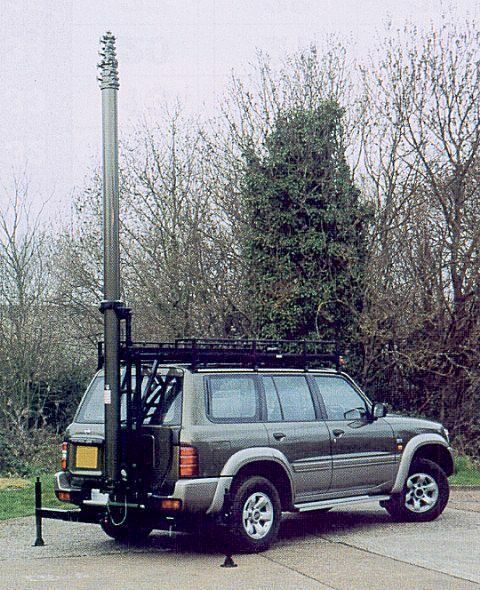 Portable Masts Australia Pty Ltd are Clark Masts military products Australian/Asia-Pacific distributors. NEW! 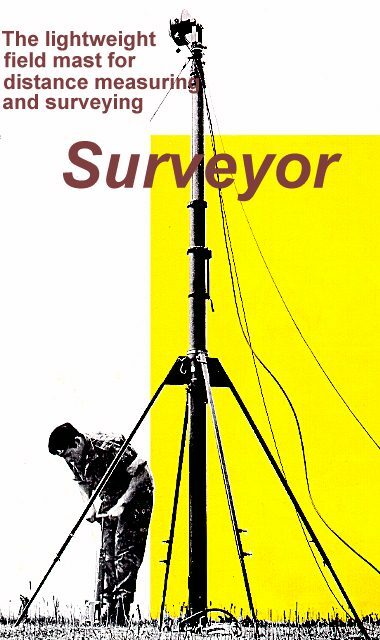 New low cost manual Vertically Erected Light-weight Sectional Field Portable Mast Kits to 21 Metres, headload capability to 50 Kg. 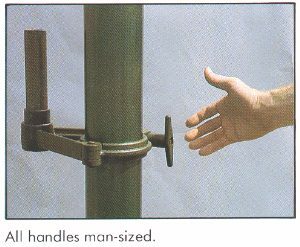 Erection example 21 metres: 2 persons with typical antenna, 30 minutes or less. 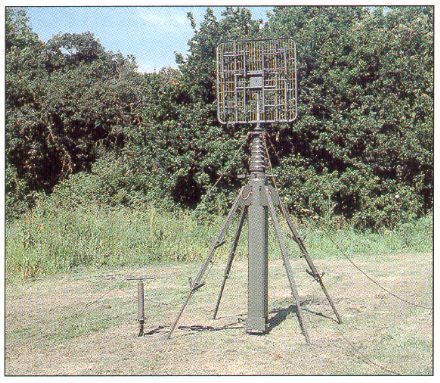 persons with typical antenna, 45 minutes or less. Metres and vertical headload capability to 25 Kg. erect with typical frame grid antenna, 2.5 hours or less. 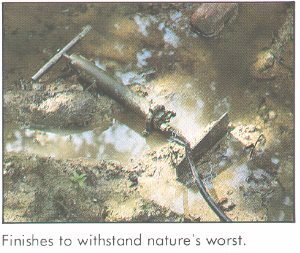 metres: Field Mounted 2 persons, 5 minutes with hand pump. Vehicle Mounted 1 person, 2 minutes using Clark compressor. 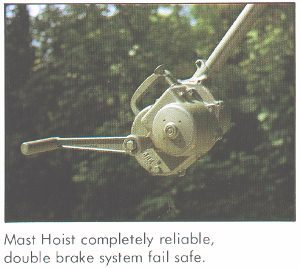 including headload attachment. All kit components are NATO codified. for accurate alignment. 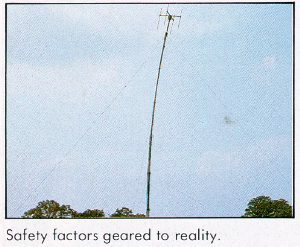 Based on the commercial PT mast series. kit components are NATO codified. -ressors, 230/110 VAC units as well as a petrol driven alternative. 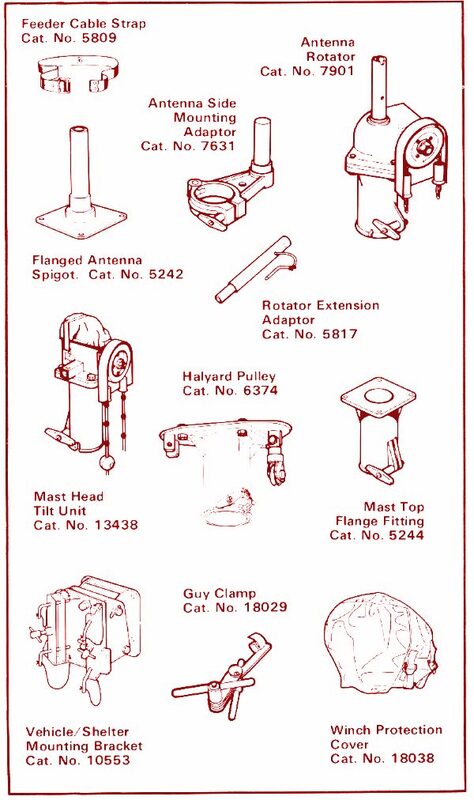 Catalogue Contents Page Clark Masts commercial/industrial telescopic pneumatic portable masts catalogue contants page. 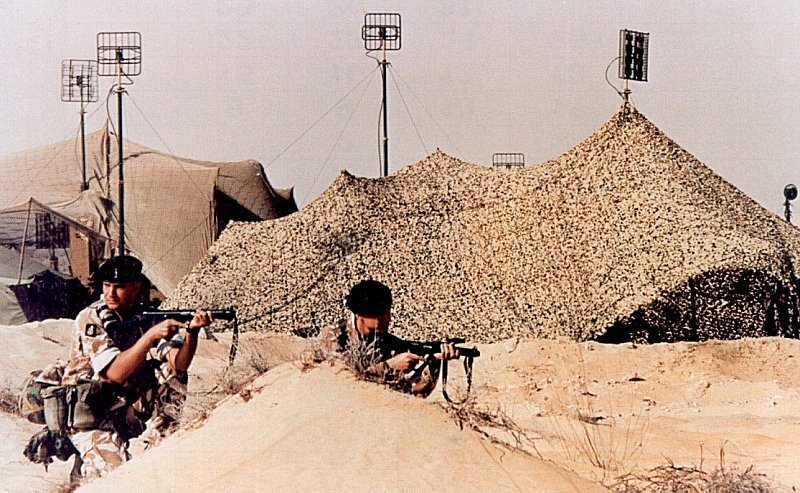 Field deployed Clark Military portable masts hard at work. The tall mast on the left is a militarised WT12, 12 metre mast. 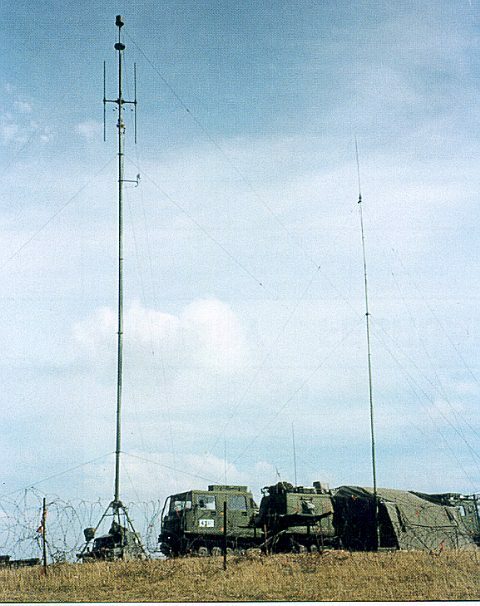 masts supporting a field communications base. Copyright © Portable Masts Australia Pty Ltd 2015 - All rights reserved.